George Graham (1673-1751 best known as the father of the chronograph)was the first great 18th century clockmaker to be admitted to the Royal Society. 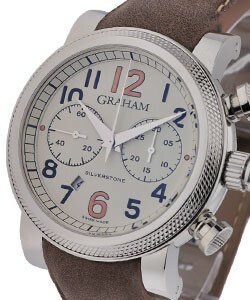 The name is now attached to a Swiss brand reviving British horological tradition. 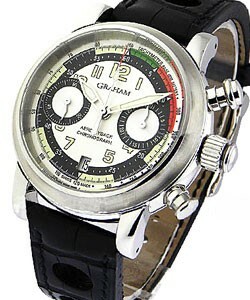 Limited annual production and well defined chronographs are the hallmark of the Graham brand. 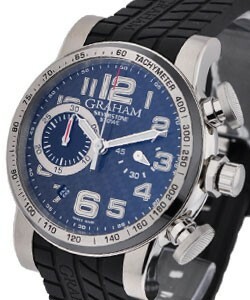 Today, the brand has regained its rightful place in the world of precision watchmaking due to the commitment of its owners to follow in the heritage to which Graham dedicated himself. 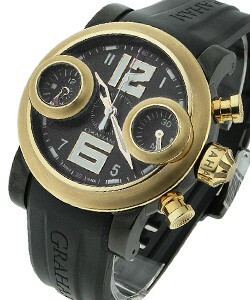 Launched in 2001 the company is based in La Chaux-de-Fonds Switzerland. 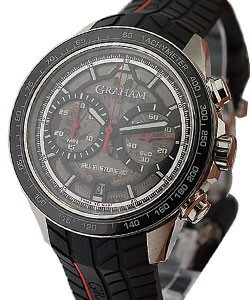 Graham luxury watches are named after the father of the chronograph, George Graham. 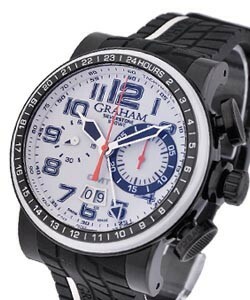 Because of their great respect for him, this exciting watch brand features many different types of chronographs as their main collections. 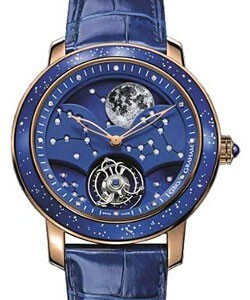 In the tradition of the great Swiss luxury watchmaking companies, this company is based in La Chaux-de-Fonds, which is where many of the original watch manufacturers started doing business and is the center of fine Swiss watchmaking. 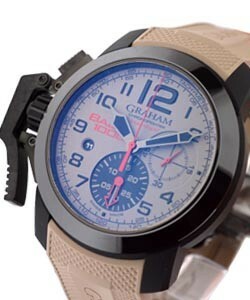 As a fairly new company, only launched in 2001, the owners of this company are committed to follow and honor the heritage that Graham left behind. They embrace dedication and hard work as well as creativity and precision. 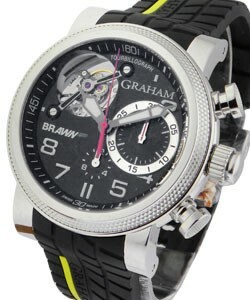 Only the best will do for Graham luxury watches, and this independent company manufactures their watches in their own facility and uses only the finest Swiss movements. Only the most beautiful 18K gold, the best grade of steel and the most sparkling, high quality diamonds are allowed to become part of these exclusive timepieces. 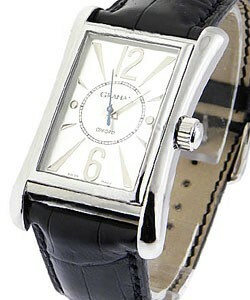 Sapphire crystals that are coated with an anti-reflective coating are used, because attention to detail is paramount. 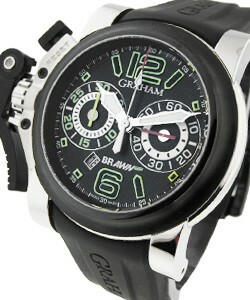 Helium escape valves are always included on Divers watches. Complete control of quality is an important aspect of the manufacturing process. 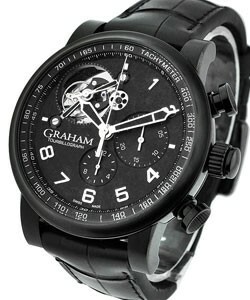 Graham luxury watches include the very popular 'Graham Chronofighter collection', which is oversized and loaded with features. 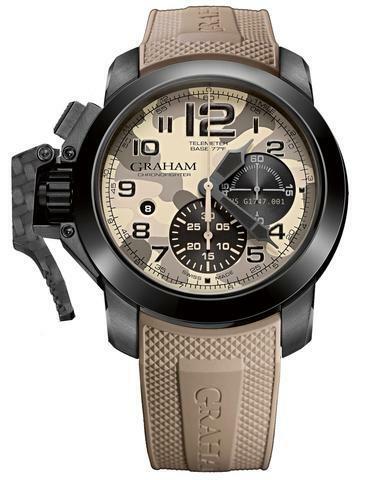 Graham's 'Chronofighter' group includes 'Chronofighter R.A.C', 'Chronofighter Oversize', 'Chronofighter Oversize Commander' and 'Chronofighter Oversize Big Date GMT. 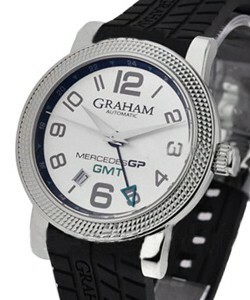 The 'Graham Mercedes GP Petronal collection' is one that features a black carbon dial with a silver rim and silver arrows and is water resistant to 100 meters. 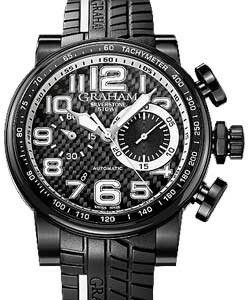 Other popular and stunning luxury watch collections from Graham include: The Stunning 'Graham Aeroflyback chronograph line', the traditional, classic rectangular 'Graham Oxford Collection', and the uber-modern oversized 'Graham Tourbillograph Collection'. 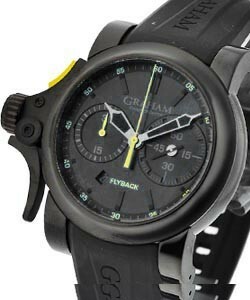 All of Grahams luxury watch lines are fantastic, the modern, incredibly modern, sometimes even futuristic-looking, the traditional are absolutely stunning, with timeless style and in a class of their own. 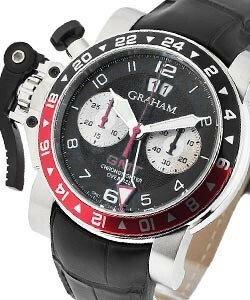 No matter your sport, Graham luxury watches can fill a need for speed and accuracy that many people have never even dreamed about. Knowing that the watchmaker who assembled the watch will sign your warranty card tells you that they stand behind their product. 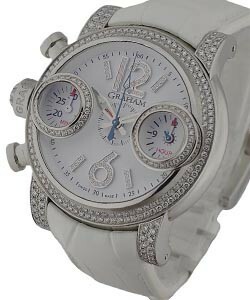 You can be assured that they used the highest quality materials and spent their precious time being precise and accurate as they build their limited edition timepieces.